Pilgrim demonstrates how he invented Vogue Dancing several centuries ago. What would happen if an immortal tried to commit suicide in 1912 and was sent to the Burgholzli Psychiatric Clinic to be treated by Carl Jung? The central character is Pilgrim, an enigmatic figure who has lived, as both male and female, for an unspecified length of time. “I predate the Christian calendar,” he tells Dr. Jung — but this revelation doesn’t occur until 400 pages into the book. For the first 100 pages or so, Pilgrim is mute, completely withdrawn, and largely off-stage. We begin to learn something about his history when Jung comes into possession of Pilgrim’s journal, but even so there are many delays as the good doctor indulges in long conversations with his conscience while reading it. Finally the journals are supplemented by Pilgrim who begins to speak for himself. It is at this point the reader discovers that the stories in his journal are far more interesting than his conversations. 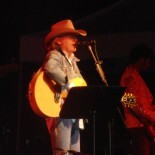 Pilgrim, we discover, has lived many lives. While this is not reincarnation, the actual specifics are clouded over. “Some are reborn,” he says. “Others, such as myself, merely exchange on life for another.” What interest the book offers comes in watching his interactions with historical firgures. Pilgrim’s story brings us into contact with Leonardo Da Vinci, St. Teresa, and Henry James. In the book’s present, we meet Dr. Jung, Emma Jung (his wife), and two of his mistresses, Sabine Spielrein and Antonia Wolff. Findlay uses the interplay as a means of suggesting motives and illuminating the character traits of historical figures. Unfortunately, the results are often unworthy of the material. Emma Jung comes to the realization that shepherds, like Jews, “are people too.” A powerful scene involving Emma’s miscarriage highlights Dr. Jung’s self-absorption — but loses much of its impact for those who know it is completely fictional and that no such miscarriage ever took place. As for the openly fictional characters, most seem to come and go in a puzzling and random fashion that probably owes more to the dictates of symbolism than of plot, bringing to mind Dorothy’s complaint in The Wizard of Oz: “People come and go so quickly here!” Several are connected with the clinic, such as the ballerina who believes she lives on the moon, the man who thinks he is a dog, and Pilgrim’s attendant who has a thing about wings. 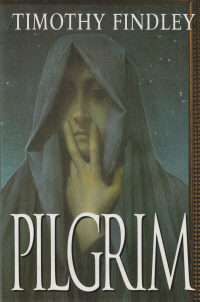 The one woman who believes in Pilgrim (and yet checked him into the clinic) only makes it through half the book, and his man-servant, Forster, while always seeming to be on the verge of making some significant contribution either to plot or understanding, ultimately offers little more than a few pigeons and a rope ladder. To be fair, this is more of a contribution than Pilgrim himself makes. There is one respect, however, in which this book succeeds where other novels about immortals have failed. Most readers find the immortals’ constant search for the “gift of death” to be quite inconceivable, since immortality in a healthy body seems like a pretty good deal, even if, as in the case of vampires, they can only go out at night. The never-ending pointlessness of Pilgrim’s life, however, gives us a true empathy for his plight, and long before the end of the book we have joined with him in fervently wishing he would just shut up and die.